You are warmly welcomed by our Tour guide at Noi Bai Airport and transferred to your hotel in Hanoi capital. Be free and relax after long journey. In the evening, attend Water Puppet Show and enjoy welcome dinner. Overnight in Hanoi. 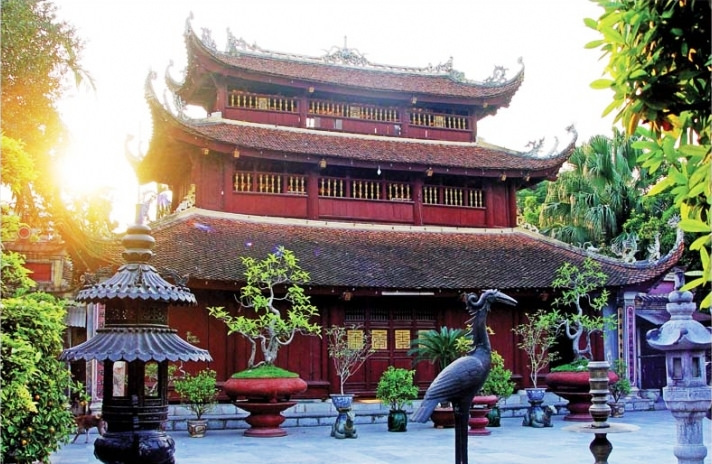 In the morning, visit Ho Chi Minh Mausoleum, Ho Chi Minh Residence, One-Pillar pagoda, Tran Quoc pagoda, Quan Thanh temple, Army Museum and Hanoi Flag Tower. In the afternoon, proceed to Ninh Binh, Cuc phuong national park, visit Endangered Primates Rescue Center. Overnight in Cuc Phuong. Day 3: Kenh Ga - Van Long (B/L/D) After breakfast, walk in to visit flora, fauna and one-thousand-year-old sequoia tree, the cave of Prehistoric man cave then Visit Kenh Ga hot spring by boat. Have lunch then visit Van Long Van Long is the most flooded nature preserve in the Northern Delta and a magnificent eco-tourist site in Ninh Binh Province. Covering an area of 2,643 hectare, the site is situated in Gia Vien District, east-north of Ninh Binh Province. Visitors to Van Long will not only be impressed by its spectacular view of natural scenery, but also have a chance to admire its diverse flora and fauna, including 8 species of flora of special importance in national conservation efforts and 12 species of rare animals. Overnight in Van Long. 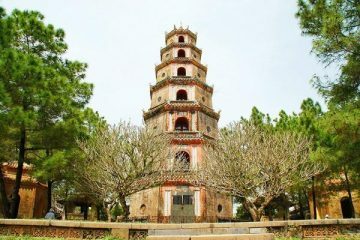 Visit Hoa Lu - The Ancient Capital of Vietnam in 10th century and the remaining of the two temples of Dinh King & Le King. 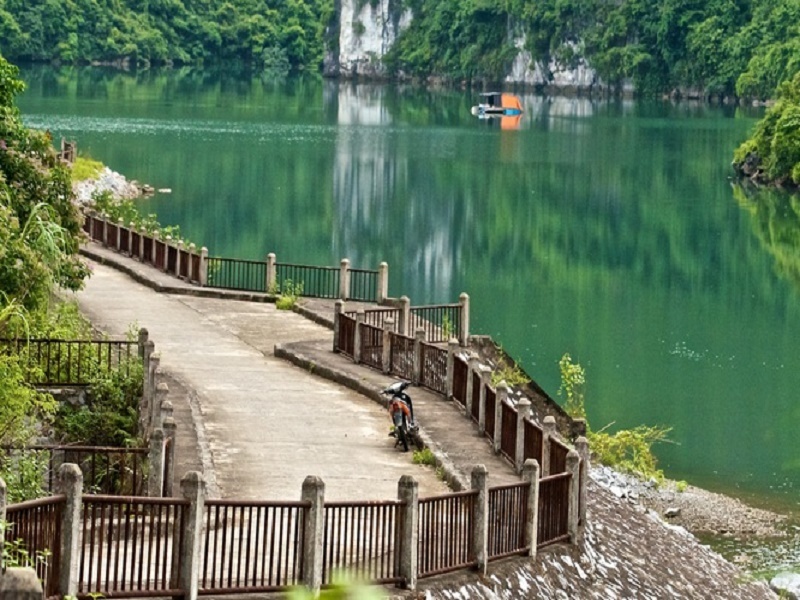 Take a Bike or drive towards Tam Coc – the "Halong bay" onland to explore the daily life of Vietnamese. 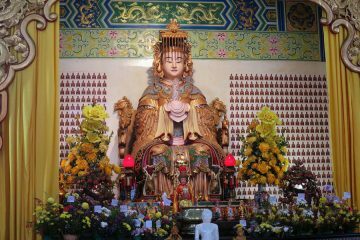 Visit Bich Dong Pagoda, then relax and enjoy “Halong bay on land” on a rowing small boat through the rice fields and mountain ranges, visit Tamcoc - 3 beautiful caves. Drive toward Halong bay. Overnight in Halong. 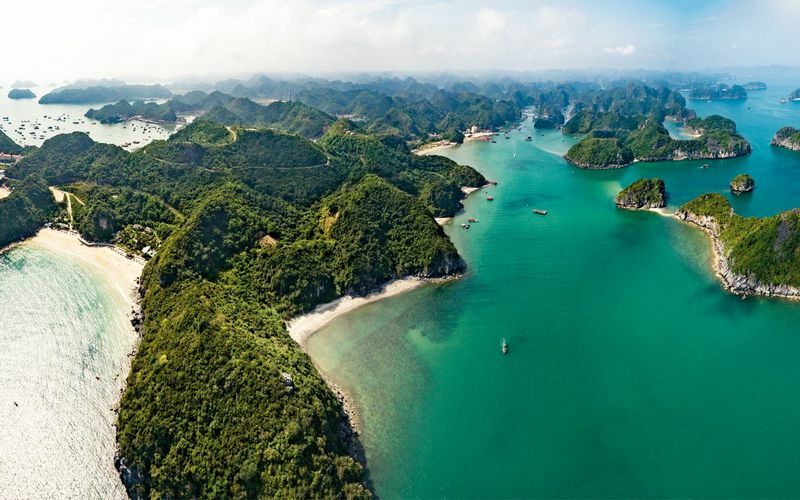 Take a boat trip to visit Halong bay, the world heritage site of Vietnam, Cruising around to see alots of islands and islets including cook fighting island. 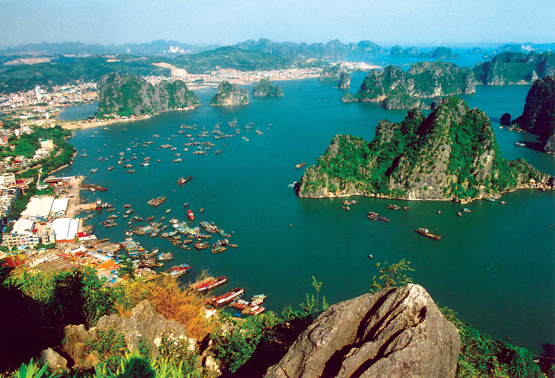 Stop to visit Thien Cung or Dau Go caves, enjoy lunch on boat then continue to Cat Ba island, explore Cat Ba city. Dinner is your own. Overnight in Cat Ba. After breakfast at hotel, we will transfer to trek in Catba National Park through Frog Lake. Have picnic lunch in local house in Viet Hai village. On the way, we can see the beauty of park. Then we will return hotel in the afternoon. Then we will have free time and overnight in Catba. 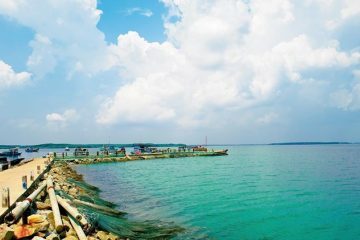 Free time on beach and discover Cat Ba island, take hydrofoil to Hai Phong, lunch then visit Du Hang pagoda, Hang Kenh temple and back to Hanoi. Dinner is your own. Overnight in Hanoi. 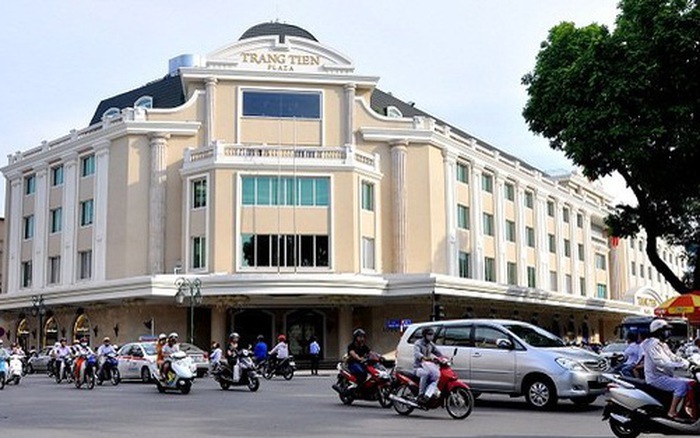 Shopping at Dong Xuan market, Trang tien plaza and enjoy lunch before taking a drive to the airport, end trip. 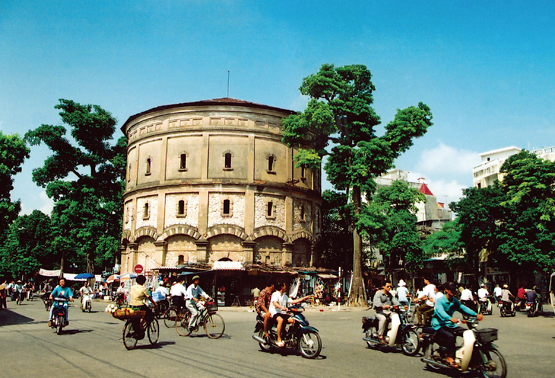 Route: Ho Chi Minh - Mekong Delta – Nam cat tien national park - Can gio national park – Dalat – Langbiang - Ho Chi Minh. Route: Hanoi – Cuc phuong N' park - Van long - Kenh ga - Tam coc - Halong bay - Mekong Delta – Nam cat tien national park - Can gio national park – Ho Chi Minh.